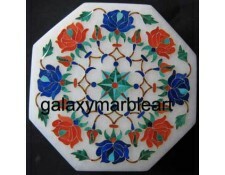 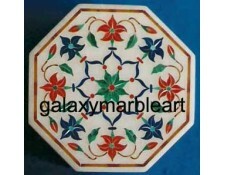 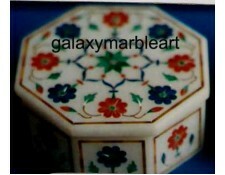 Inlaid with different kinds of semi-precious stones these marble boxes are extremely popular for their size and beauty.Some have work only on the top wheras some has work also on the sides.These boxes are very good for gifts. 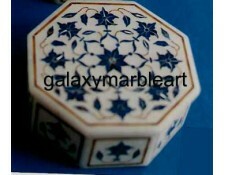 These are used as jewelry boxes. 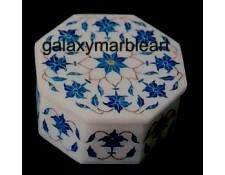 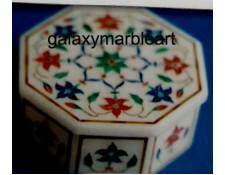 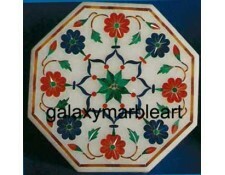 MARBLE RING BOXA beautiful marble box inlaid with semi-precious stone mainly Lapislazuli is having a.. 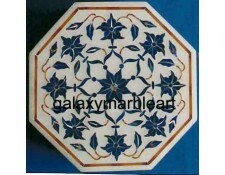 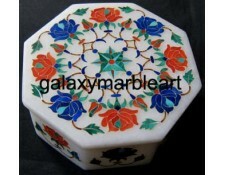 Artistic inlay work boxMade by our expert craftsmen is having stunning intricate workmanship with ma..